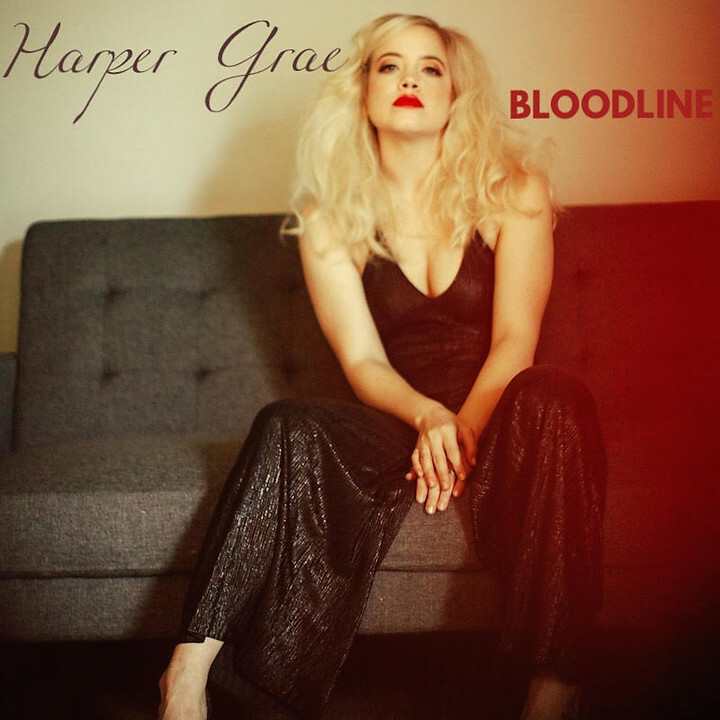 Harper Grae, born Shanna Henderson, is Country Artist from Montgomery, AL. After attending Auburn University for Musical Theatre and Religious Studies, she auditioned for and got the part in Glee Project 2 and moved to LA. She recently located to Nashville, Tennessee and she is progressively winning over the hearts of all. She was added to CMT’s Artist Discovery Program, Rolling Stone Country’s Ten Artists You Need To Know and her single “Monster” recently made it to CMT’s Hot 20 countdown. However, her heart isn’t only set on music. In 2017, Harper launched Look Up Foundation that utilizes tangible literature to help children and adolescents navigate through the stages of grief. So, my grandparents raised me, and their last name is “Harper.” I wanted to honor them because they didn’t have to raise me at all. Then, “Grae” is an acronym for “God Redeems All Equality,” which is really important to me because all people matter; every story matters. I wanted to spark conversation. Was “God Redeems All Equality” a saying that was prominent in your life before you knew you wanted to incorporate it in your name? Haha, no actually! I had a dream when I was at the Keywriters Song Festival a few years ago. I knew I always wanted to take ‘Harper’ as my stage name, but I didn’t want it to just be that. I randomly had a dream that the second part of the name was an acronym and that is what it stood for. Was music big in your childhood? Oh, yes. That was a big blessing being raised by my grandparents. My granddad was in the music industry. He played bass all around and he was George D. Wallace’s campaign manager. Back then, they would have artists come, so they would bring people to rallies. My grandad was one of those people who could pick up any instrument and play it, so I grew up in an incredible environment listening to him play piano like Jerry Lee Lewis, and then pick up a guitar and play like Johnny Cash. It was crazy! My grandmother was a a soprano in the choir. I was wearing a choir robe before I could do anything else. Did you know that you were going to pursue music? Or did you originally have other career paths in mind? For me, I never knew that I could have a career out of doing music. I knew my grandparents were really good, but it wasn’t their career. Being from a small town, you know what you know. I didn’t know until I was in college. I learned that with a lot of hard work, you can make this your career and that’s what really sparked me to transition from it being something that I did, to making it my career. What’s your earliest memory creating music? Yeah! I wrote my song in either kindergarten or first grade. One of those two grades. I wrote this song going down to lunch with my class, and I had the whole class singing it. I was from Alabama, and I heard a meteorologist say something along the lines of, “If the clouds were hanging low, it meant that it was going to snow,” and I created this whole song around that. Definitely very kindergarten like. It almost sounds as if you were born to lead a choir. Yeah! I was singing in a choir when I was little. I remember singing “Amazing Grace” and that being the first song I ever learned when I was very little. I’m talking like 3/4. You were on Glee’s reality competition, Glee Project? Yes I was, Season 2! I’m actually heading out to LA tonight and I’m going to be seeing some of those people which is nice. That was life changing for me in so many different ways. Did you get to audition for Ryan Murphy himself? Yes, it was great. He was super nice. They were all super nice. They really lifted everybody up, and nobody was ever taken for granted. Everybody’s story really mattered to them, which was nice cause that doesn’t happen often in reality TV. I mean, he was also intimidating, but at the same time, when you’re from the south it’s hard for anything to really intimate you. Well, I mean, anybody who creates a show like American Horror Story, I would think, is intimidating. Isn’t that incredible though? The same mind who created Glee, created American Horror Story. Did the Glee Project introduce you to new artists and genres? Yes and no. I grew up on traditional country, but I was also that little girl listening to Christina Aguilera and Beyonce. I had a wide range of genre taste and that was why I fit so well in Glee. I could sing Whitesnake and then go all the way back to singing Hanks Senior tune. It didn’t really open me up to genres because being from a family so musical, it was hard to just be in one genre of listening. It did open the door in many other ways. It made me realize that I really wanted to do country music. What’s your creative songwriting process like? Do you prefer writing solo or co-writing? It depends, I do both often. I write with myself everyday. I do about 2-3 co-writes a week. When I go to LA and NYC after, I do co-writes. It also depends on what I’m writing for. It’s all about personal experiences. I write from that perspective but I also listen to other songwriter’s music too. I’m not that one of those artists who is like, “I’m only going to perform what I wrote,” because I think there is so many incredible songs, but I am very particular in what I pick out. I want the song to be like I wrote it. 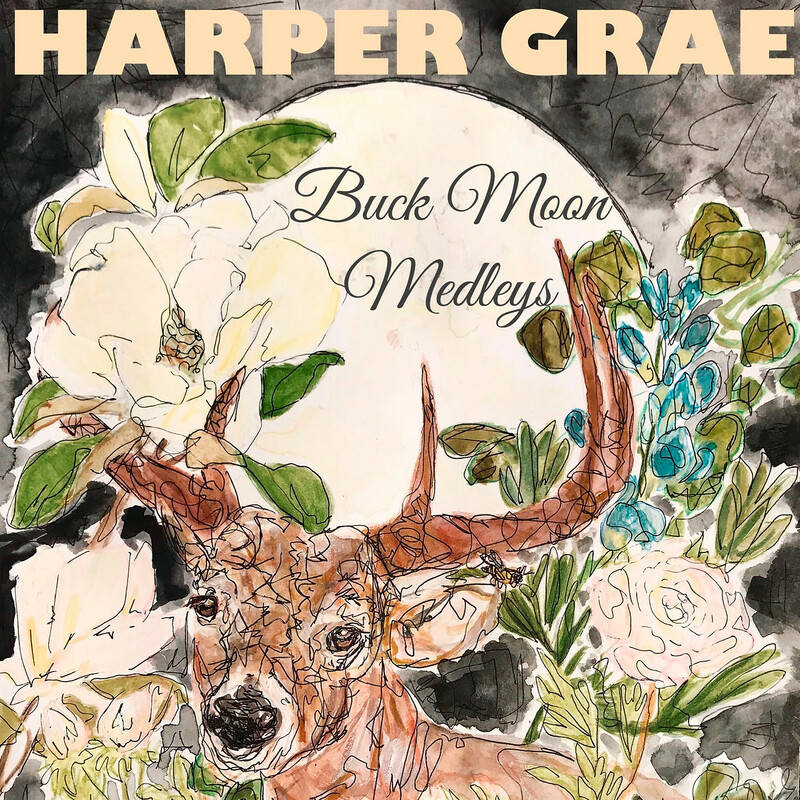 So I would love to go through the Buck Moon Medley’s EP. Would you mind taking me track-by-track and discussing the meaning and process behind each song? Buck Moon Medleys came about right after my mom passed. I wanted to walk through the grieving process using music of losing her in this life physically. I had already lost her in my life when I was a kid, but it’s different when they’re still alive. I wanted to use music to articulate that. “Bloodline” is all apart does the apple really fall far from the tree? That was a question that I always asked myself. My mom has a difficult time with her addition to substances, and it’s like, her blood is mine. How much of that is in me, and how much of that is the free will to be different. That’s 100% my mom’s story with her struggle with addiction through her perspective. I wrote a lot of that song by myself on the way back from her funeral. I went into a co-write but I was writing that song for myself, not meaning for it to be heard. I went into the co-write telling them, “Hey, I’ve been working on this. I don’t know if it’s something we should chase or not,” but we did, and it ended up being a song that is now changing my life. “Monster” is my mom’s story completely. it’s a very special song to me. The imagery of that is that is from when we were burying my mom. In Alabama, it snowed that day. I thought that was a beautiful depiction of peace. The inspiration of that song came from that, like ashes to ashes, dust to dust, but in a different way. It’s “Ashes to ashes to snow.” That’s where the imagery and lyric line came from. “Coming Home” is coming from the perspective of me always wanting people to change and be better. I’m a “look at the glass half full” kind of girl. I’m always looking for the good. For me, that’s what “Coming Home” is about. It’s about leaving that light on, putting down your weapons and letting somebody in. Always. No matter what they’ve done or haven’t done because at the end of the day we are all human. All of these tracks really is me pouring my heart out during my navigation through grief. It’s a full circle. 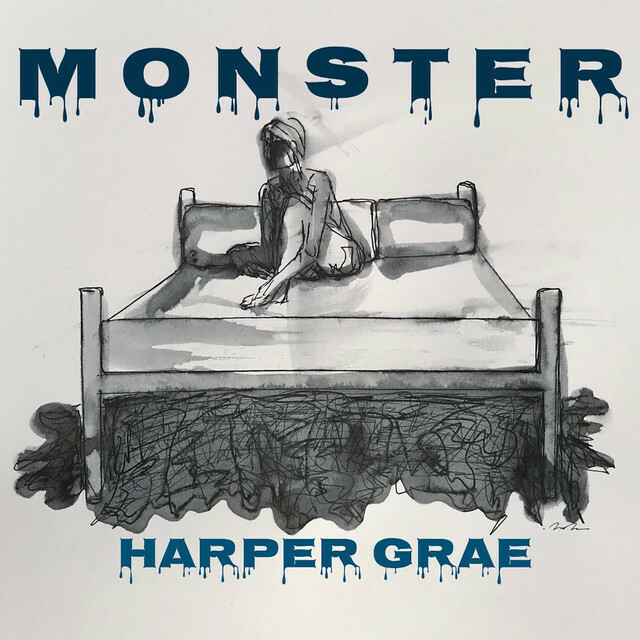 I first heard “Monster” on The Bobby Bones Show. Now you and Bobby met in a pretty interesting way, correct? We met in a yoga studio! I love yoga. I was leaving yoga and I thought that it was him behind me. I stopped to get water and he happened to be walking up as I was walking out, and I told him congrats on winning the Mirror Ball and it went from there. He’s such a great guy. We share a very similar story so he got me. I think that’s why he related to “Monster.” I’m very spiritual. I think that day was so much more than me and Bobby. I think it was something more. It was both of our moms working together to get us to meet. It was just cosmic. I was on his show on the year anniversary that my mom passed away. It was so wild. Is there a song that is so relatable to you that you wish you wrote? “I’m So Lonesome I Could Cry.” I know it’s so sad, but, that song changed my life as a kid. In the midst of being around my grandparents who took me in, and a family that loved me, I grew up in a family that could still love. But, I was still lonely as a kid because the two people who are supposed to love you the most are your mom and dad. I gotta choose one more. “Cannonball” by Brandi Carlile. Those are my two songs I wish I had written. I perform them all of the time. I look up to Brandi Carlile and The Twins more than anyone. Lyrically and melodically. Who do you look up to besides Brandi Carlile? Ashley Monroe. I love a good story and a good story song that is still relatable. And, Patti Griffin. Like.. queen. You launched Look Up Foundation in 2017. What’s the story behind that? I started Look Up Foundation before my mother passed and I wanted to start a foundation because I started singing at the Vanderbilt Psychiatric Center and I realized that so many people plateaued at the stage of grief, of all ages, and that was why they were there. It really effected me, and I really really related to these people. I wanted to create an environment where tangible materials were available for kids and adolescents to utilize while they are navigating through grief. Look Up Foundation helps them navigate through grief in a more modern way. Right now, I am working on a children’s book series and an adolescents book series that we just finished writing. It’s now going into illustration and hopefully will be published within the next year. Lastly, what are you most excited for coming up? Brand new music. I am writing all of the time. I’m planning to get into the studio in April. I’m also working on a TV series script and a movie with a good friend that I met out in LA, Julie Rieger. she’s the Chief Marketing Data Strategist for Twentieth Century Fox. When I’m out in LA this time, I’m going to be working on the bones of that as well! Brianna is a sophomore at the University of the Arts studying Music Business, Entrepreneurship and Technology and Creative Writing as a minor. She is a Grammy U Campus Ambassador at the Recording Academy, VIP Ambassador at CID Entertainment and a Promotions Assistant at Townsquare Media. She has a passion for the Music Industry, Entertainment, Radio, Writing, and being an active Singer|Songwriter.